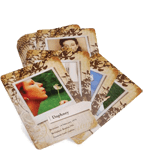 Sharing Heritage is an online memory preservation company. They also do home parties. 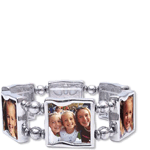 You can design tons of different things from keepsake bracelets and necklaces, photo albums, playing cards and canvas prints. The Heritage Makers website is easy to use. Anyone can create a free online studio to make products from. There are some free templates available for you to use or you can upgrade to premium templates for a few dollars. I was able to create and review a flip book. I’m including the websites description of the flip book because I can’t describe it any better. 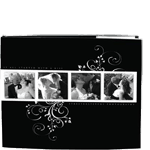 Flip Books are the new way to cherish and preserve your everyday moments. The wire binding makes the Flip Book perfect to fit in a purse. The flip book is so fun. I was able to upload pictures of Colby to give to a friend who has helped us a lot with Colby’s stroke recovery. I wanted to show her how much he has improved over the last three years. The book really is small enough to fit in a purse and carry with you anywhere. There are 10 double sided pages to include lots of pictures. The paper is very high quality and the pictures looked wonderful. There was space to write a description on each page and I included a note at the end. The customer service department that I worked with was wonderful. Shari who provided the review sent me a coupon to redeem the book, but it didn’t work the first time. She worked with customer service about the problem and got back to me with some directions on how to make it work. I spoke with a customer service agent on the phone who was very nice and professional. He was able to walk me step by step through the process. It was so nice to talk to someone who from the sound of his voice was genuinely interested in helping me fix the problem. Shari was wonderful to work with as well. She provided great support and encouragement while I was creating the book. You can bet that the next time I need a picture product I will be heading back to Sharing Heritage for my products. I was provided with a free flipbook from heritage makers and received no monetary compensation. This is my honest review. I created a free account. So glad you like it Patti, my pleasure! I created a free account on heritage makers website. What a cool product! I also: 1) follow your blog via email, 2) follow you on Google Friend Connect, and 3)like Simply Stacie on Facebook.